Yes, cricket fans! The game you have been waiting for (if you are area followers of our youthful cricketers) is here at last. The Finals of the 2018 Public Schools Athletic League’s (PSAL) co-ed varsity cricket finals. 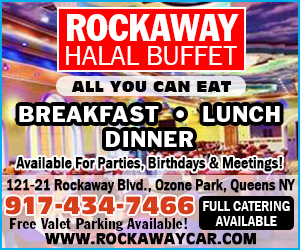 The game will be played on June 16th, at the Roy Sweeney Oval cricket ground at Gateway Mall in Brooklyn, New York. (Belt Parkway to Erskine Street, Exit 15). The first ball is schedule to be bowled at 1:00 PM. 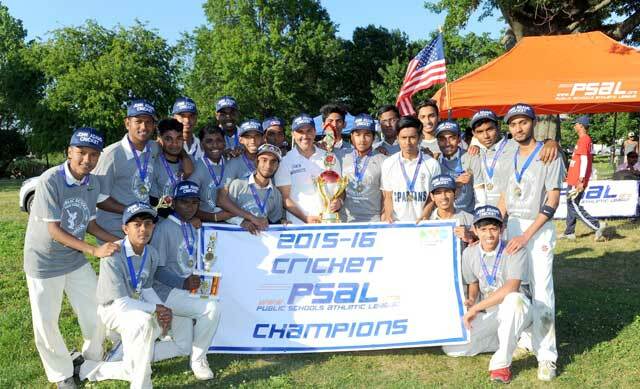 Judging by the statistics of the past10 years of PSAL cricket finals, a large crowd is expected to watch the contest. The “combatants” are John Adams High School and Jamaica High School. These two cricket “giants” of the PSAL cricket program earned their berths in the finals by winning all their games in the playoffs. In their semi-final game, Jamaica sent the 2017 champions Richmond Hill packing: Jamaica 152, Richmond Hill 70. In the second final of the day, Adams 178, Martin Van Buren, 109. Both were played on Saturday, June 9th, at Baisley Park, Jamaica, Queens, New York. The Adams boys appeared to be a bit more experienced and serious-minded than their Jamaica counterparts who seemed to enjoy themselves more on the cricket field. They seemed more relaxed. I suppose that Adams, having once tasted the championship are thinking about protecting their image, as opposed to the Jamaica boys who are excited about being in the finals for the first time. This will be the seventh time that Adams has advanced to the finals. They have lost some very close games in six tries. I think they may be a bit speculative at this time. So, it is understandable that they may be a bit more serious. Those are my opinions folks, and not necessarily those of others! Twenty20 cricket being a batsman’s game, we fans, tend to compare two teams from the perspective of their respective batting strengths. A glance at a few top hitters on both rosters suggest that this will be a high scoring game. Let us take a look at both opponents: They are virtually “neck and neck” in the run-scoring department. John Adams, in nine preliminary games scored an aggregate of 1,250 runs at an average of 138.8 runs per game. Jamaica, in eight preliminary games scored an aggregate of 1,121 runs at an average of 140.1 runs per game. Both teams have twice surpassed the 200-run mark and once each, the 175-run mark. But, in three playoff games each has played, Adams has scored 435 runs, an average of 145 runs per playoff game. Jamaica has scored 624 runs at an average of 208 runs per playoff game; they have twice scored in excess of 200 runs in a playoff game. Now, let us take a look at the performances of a few batsmen on each side. John Adams’ stats: Avin Gangadin has scored 197 runs in eight games and 66 runs in three playoff games. Alix Hosain, their top slugger has scored 383 runs in nine games at an average of 127 runs per game and 55 runs in three playoff games. Tamesh Persaud has scored 283 runs in nine games at an average of 70 runs per game and 95 runs in three playoff games. All three batsmen have scored at least one century in a game. Jamaica batsmen’s stats: Akash Arafat, 223 runs in seven games, at an average of 44 runs per game, and 109 runs in two playoff games at an average of 54.5 runs per game. Mohammed Hossain has scored 243 runs in eight games at an average of 34 runs per game and 116 runs in two playoff games, at an average of 83 runs per game. So much for the slugging abilities of each team. You make your prediction. I must say that in a large majority of cases the umpiring standard in the PSAL program is outstanding. But the umpiring decisions that “stink” are nauseating. Case in point, on Saturday, June 9th I was at Baisley Park South watching the semi-finals between Jamaica and Richmond Hill. An appreciable size crowd was on hand to watch the game. This is what I witnessed occurred. A batsman was getting ready to take strike, “patting” his mark. He had his head down. In the meantime, the bowler started his run-up. As the batsmen raised his head the bowler was already in his delivery stride and about to deliver the ball. Almost simultaneously the batsman raised his left hand, indicating to the bowler that he was not ready. The bowler fired the ball in. The ball was onto the batsman before he could react. As the ball bounced, he defensively, in my opinion, caught it, about midsection of his body. He rolled the ball back to the bowler who walked back to his mark, ready to bowl another delivery. I heard and saw no appeal (for OUT for handling the ball) from any of the fieldsmen. The umpires, Mohamed Baksh, Jr, standing at square leg and Shameez Yussuf at the bowler’s end, glanced at each other. The bowler, who was about to start his run up, stopped when he saw this. The umpires came together in conference. Umpire Baksh then signaled OUT. There was a roar from the crowd questioning the umpiring decision. The common queries were, firstly, there was no appeal from any of the fielders. The Code of the Laws of Cricket, Law 27-1, emphatically says this “UMPIRE NOT TO GIVE BATSMAN OUT WITHOUT AN APPEAL”. Verbatim, this is what the rule says,” Neither umpire shall give a batsman out, even though he may be out under the Laws, unless appealed to by the fielding side.” As I mentioned above, I saw and heard no appeal. I saw no demeanor on the part of any fieldsman indicating that he was making an appeal. The fans felt the same way; that there was no appeal. Secondly, why didn’t the ruling umpire ensure that the batsman was ready before the bowler sent down the delivery? Thirdly, why didn’t the ruling umpire signal DEAD BALL once he saw the batsman had indicated that he was not ready? This morning I received a call from a senior executive of the United States of America Cricket Umpires Association. He told me that he had received several calls from fans who were at the games. They complained that an “umpire in the PSAL semi-finals had called a bowler for illegal action in bowling, throwing”. Umpires are not required or obliged to call a bowler for “throwing”. If any of the umpires suspect that a bowler is using an illegal action, he, the umpire, must report this to the appropriate authorities. Cricket fans, I have stated these “incidences” to solicit your opinions, your interpretations, and your views. I have not done so with the intention of embarrassing anyone. I would hope that the USACUA would look into these incidences and wherever necessary, conduct some sort of refresher course to ensure that our umpires are “on the ball”. Readers, please, I would like to get your comments and opinions. They do not necessarily have to agree with my views. All opposing views and opinions are welcomed. You may contact me at 646-363-5063 or send me an email at this address: SSOOPERSAUD@GMAIL.COM.